After students have learned about the regions of California, we connect each region to its natural resources and which Indian tribes had access to what. 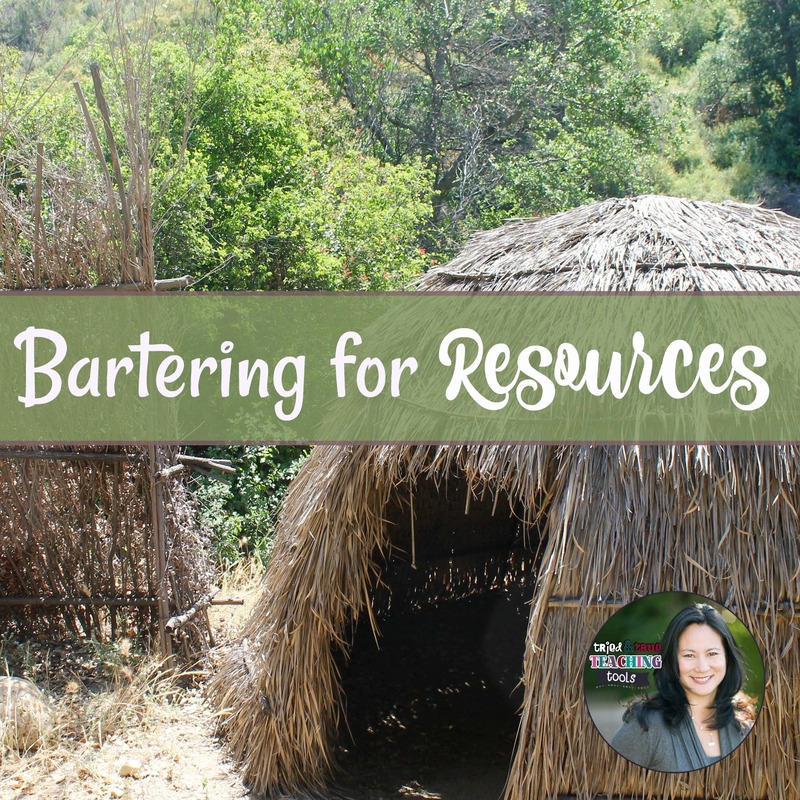 One of my favorite activities to teach the importance of natural resources and the barter system is a lesson on trading. Students are divided into tribes (4-5 students per group work best). 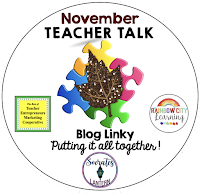 This is a great time to divide by learning modalities (put a kinesthetic learner in each group) or by Gardner’s Multiple Intelligences (put a visual/spatial learner & interpersonal skills learner in each group). Explain that each group is a tribe that lives on an isolated island. Each island has only 1 “natural” resource. 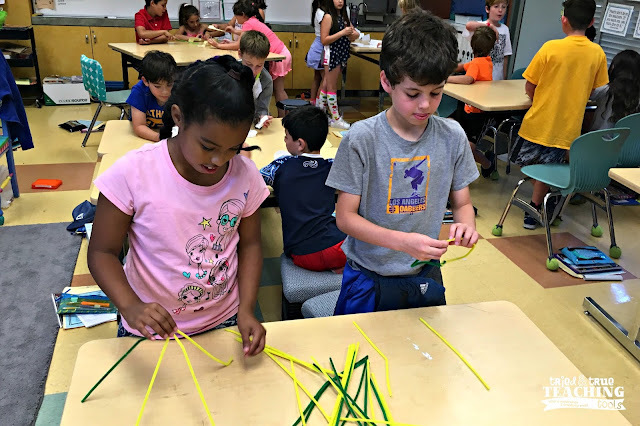 Their task is to build a shelter using only their resource. Depending on what I can find around my classroom, resources might include a roll of masking tape, a stack of paper towels, straws, plastic cups, popsicle sticks or pipe cleaners. (It varies year by year) Set the timer for 15 minutes. They will complain that “it’s not fair” and they need other materials for their shelter to be viable. Ask them what they need & how to go about obtaining it. 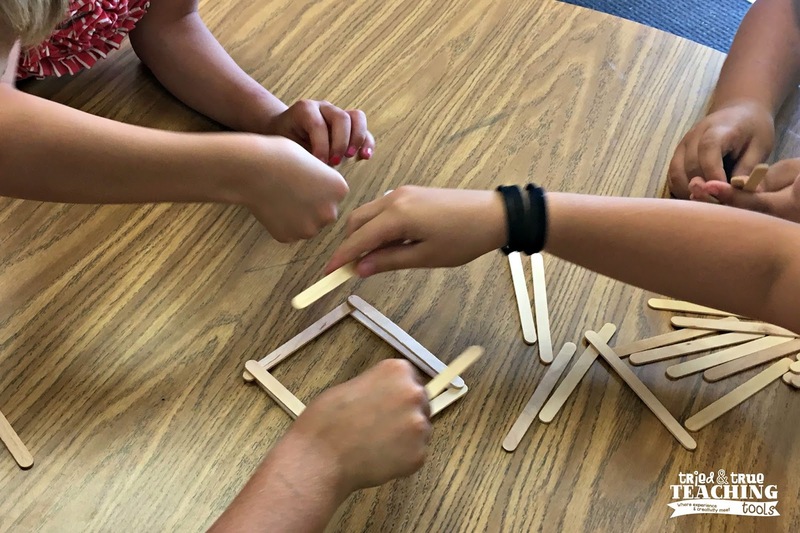 Eventually students will ask, “Can we trade with other tribes?” Once they realize they need other materials, set a ground rule: only one member of the tribe may leave at a time in a canoe (remember each tribe lives alone on an island). They may go to another island to politely ask for that tribe’s resource, but they can’t go empty-handed! They must bring some of their tribe’s resource to barter with. Allow students time to brainstorm the advantages of their resource. (Why would another tribe want it? What can it be used for?) Each tribe gives a brief mini infomercial about their tribe’s resource. 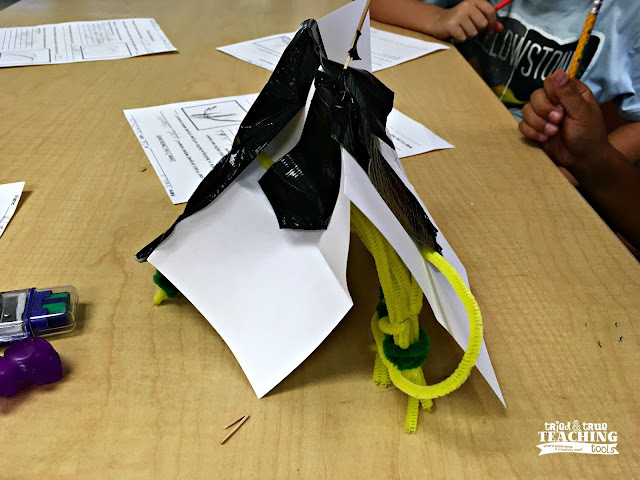 Give 5 minutes planning time for tribes to decide which other resources they need and how they envision their shelter. Allow another 5-10 minutes to trade/barter, then build their new shelter. Again, students give an “open house tour” to the rest of the class and describe the features of their shelter. Discuss pros and cons of their shelter. If we have time, I administer the Natural Elements Test again. Pull the class back together to debrief. If you'd like to try this lesson, you can grab a FREE copy of the recording sheet HERE. 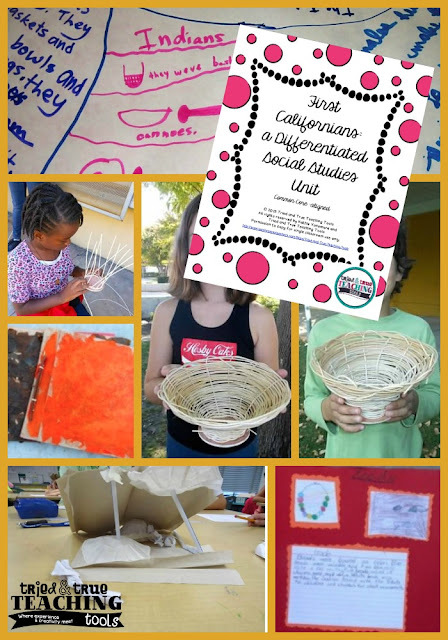 For more ideas and a differentiated unit on First Californians, click HERE or on the picture below. Be sure to click on the buttons below for more great ideas! 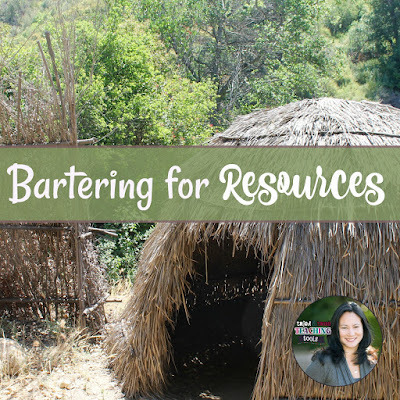 An excellent idea to teach the bartering and about natural resources. Thank you for sharing. What a great lesson! I love the way you lead the students to discover that they might need something more and wait for them to ask for the opportunity to barter! As a teacher, waiting for kids to discover is so hard! 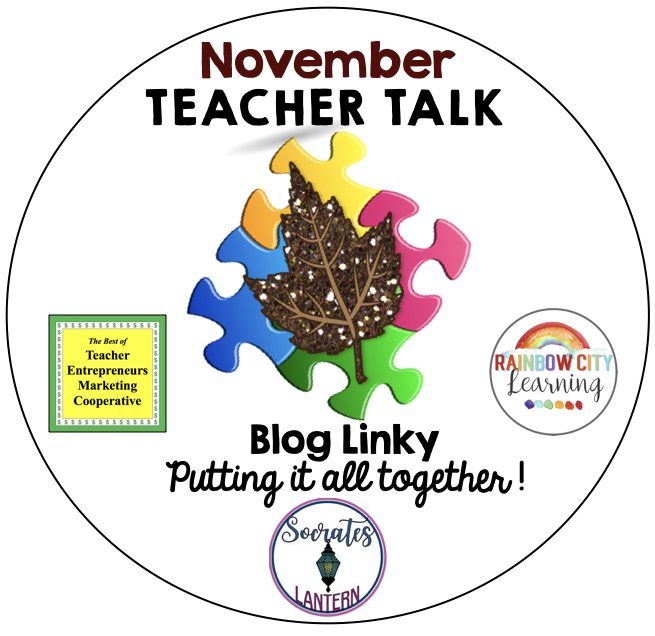 Thank you so much for another opportunity to visit your classroom via your post! Thanks, Retta! Waiting is definitely hard :) But the students totally get the need for bartering!